Couple Tattoos for the Much in Love Soulmates: It’s not as difficult as You Think! While saying “I Do” can be easy, it takes a lot of courage to make that testimonial to your love permanent by inking in an homage on your skin. Couple tattoos can be a risky hit or miss kinda thing, so be very careful of what design you opt for. Avoid getting too overwhelmed with the thought of having a tattoo and decide to get a full arm cover or oversized tattoos, only to regret it later. Small and neat is the way to go! 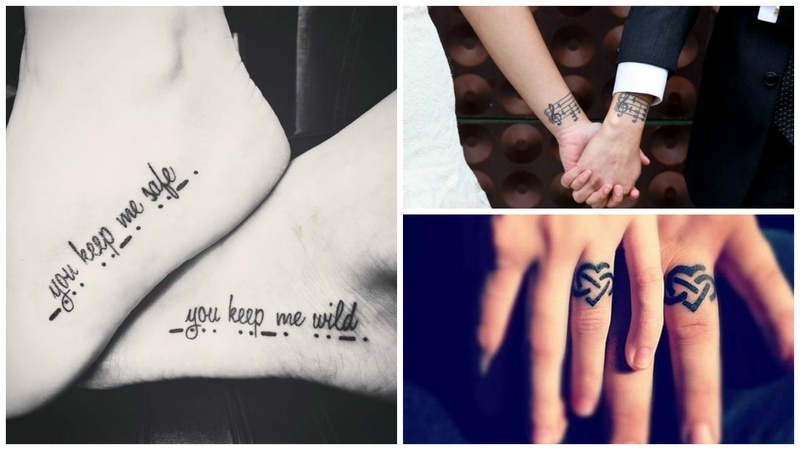 If you’re not afraid to go through the pain and showcase a permanent PDA with matching tattoos, we’ve curated some adorable tattoo designs for couples that prove love is everlasting. From some fun wrist tattoos that reflect your personality, couple infinity tattoos to couple tattoos quotes, this gallery of ideas will open up a wide window of options for you. Now that you’ve found your soulmate and ultimately tying the knot, give a creative ode to each other with a permanent mark of love! Take cue from these cool couples who we think have totally nailed their tattoo designs. What To Avoid Once You Get Your Tattoo Done?